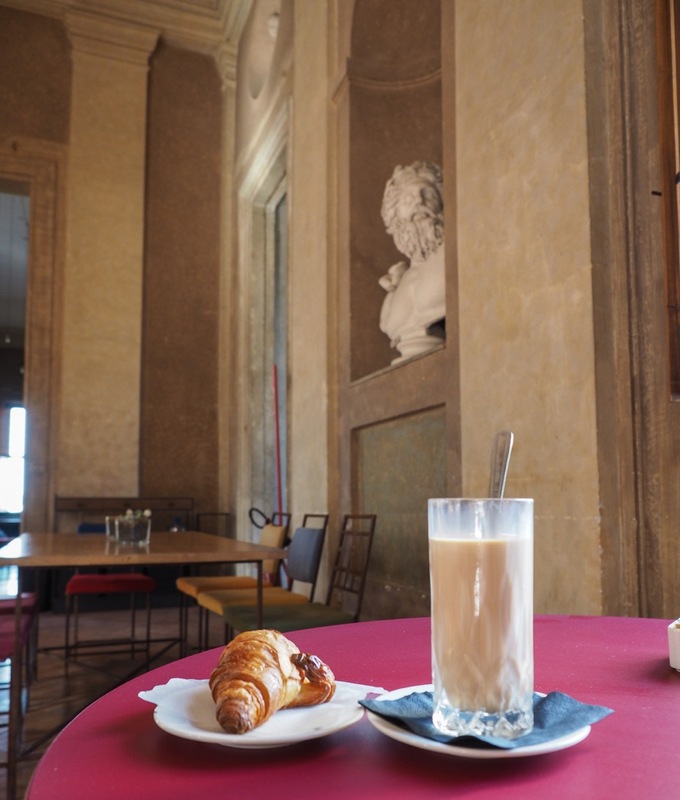 A B&B in one of Rome’s most splendid Renaissance palaces, the Villa Medici. This is a B&B- don’t expect any fancy foot spas, breakfast in bed, or 99 satellite TV channels. 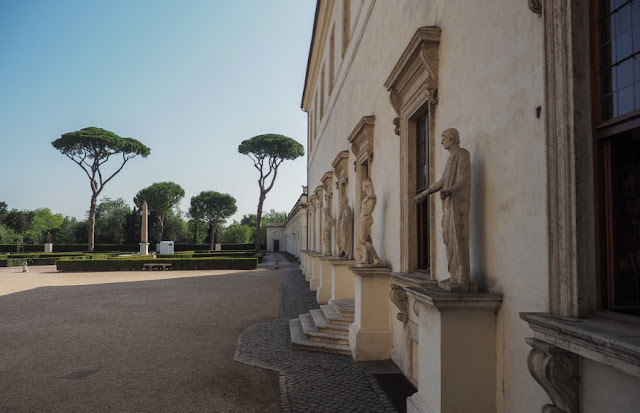 But for those not looking to pamper themselves with mod cons and who wish for a truly unique experience, here’s your chance to stay in one of Rome’s best Renaissance palaces. 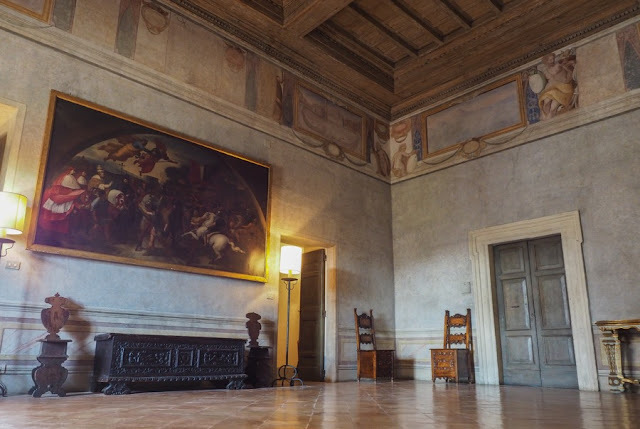 Historical rooms are decorated with 16th century frescoes and a vista of the Eternal City that puts all other views to shame. Where else in the world can you stay chez the Medici, the family who gave us the Renaissance itself? 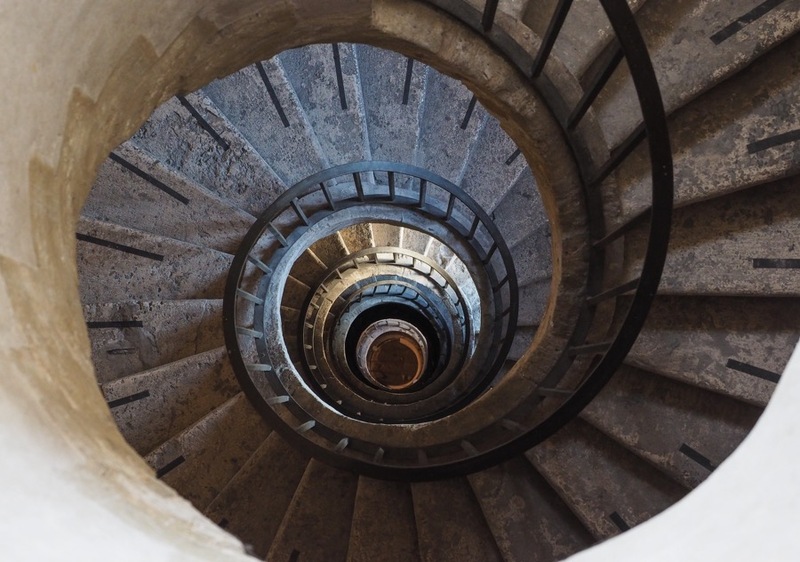 At the top of the Spanish Steps, overlooking all of Rome, just below the Villa Borghese park. Map. THE VILLA MEDICI must surely rank as one of the most exclusive B&Bs in the world. It’s neither ranked on TripAdvisor (gasp!) nor advertised on AirBnB. 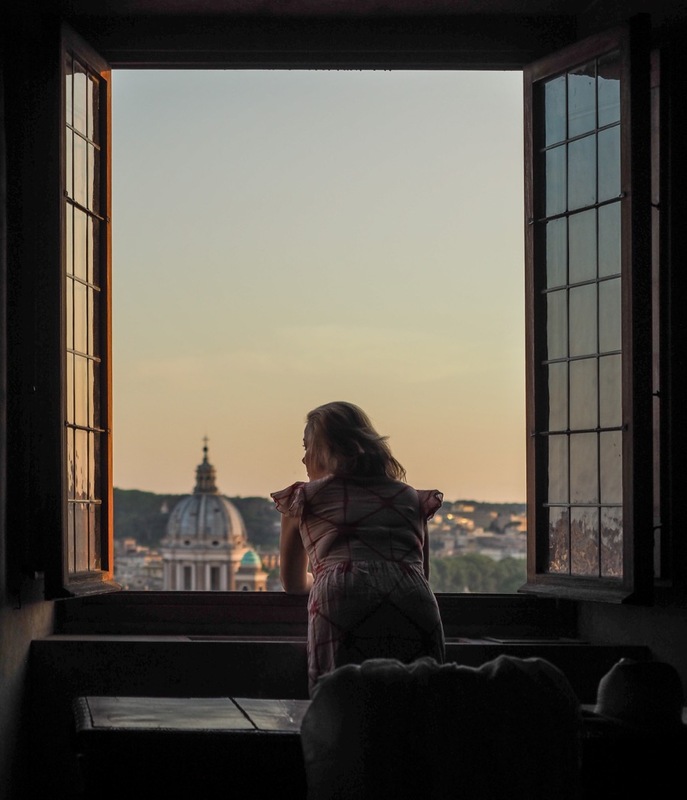 Yet, if you have a knack for adventure, history, and a bit of perseverance, you too can pretend you’re a family guest with Italy’s most famous family. Spoiler alert: the Medici don’t actually live here anymore. 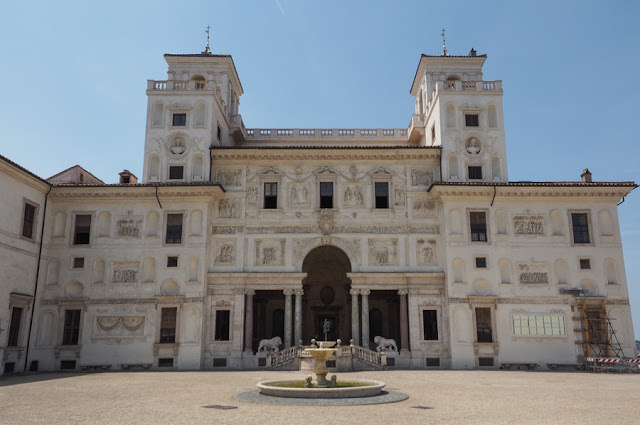 In 1803 the Villa was acquired by Napoleon Bonaparte on his extensive backpacking trip through the Italian peninsula, during which he snuffed out countries (see: Venice), looted art (see: the Louvre) and occupied some prime real estate, like this Villa. Bonaparte gave the Villa to the French Academy in Rome, and to this day, the Academy acts as a cultural bridge between France, Italy, and the rest of the world. 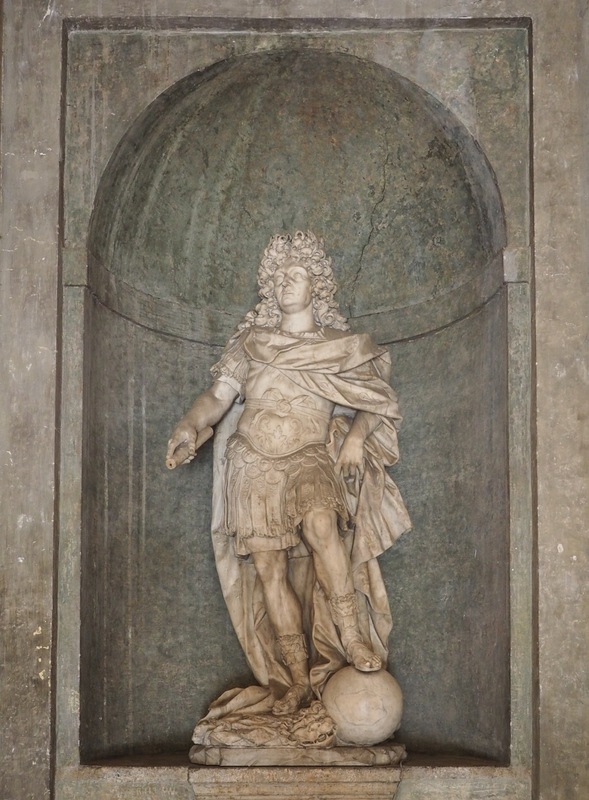 The Académie de France à Rome was originally founded by Louis XIV, 350 years ago, basically as a clearing house to acquire Italian art. You see, Lou was building a new country house near Paris, in Versailles, and needed several tonnes of art to deck out his new humble abode and its surrounding gardens. Louis XIV, the Academy's founder, dressed like a Roman soccer/football player. These days the Academy no longer buys statues for French heads of state. 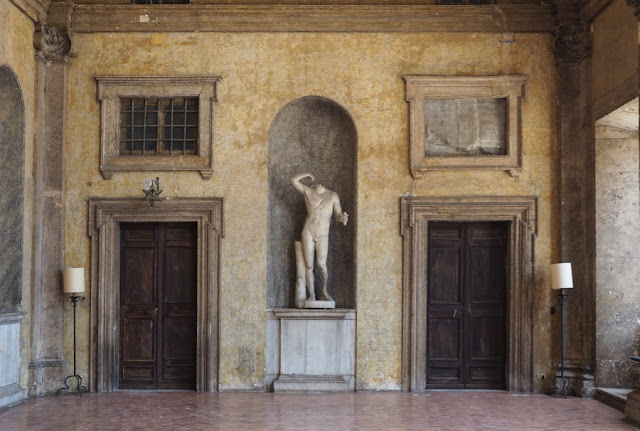 One of its main activities is to invite French artists, who receive a stipend to spend twelve months in Rome, exhibiting their work, and finding inspiration in the Villa’s gardens, the Palace’s rooms, and, one assumes, Rome’s bars. These artists are known as ‘pensionnaires’ - but they are not retirees on a final sojourn: the French word ‘pension’ refers to the room & board these, generally young and promising, artists receive. Call them ‘artists in residence’, if you wish. 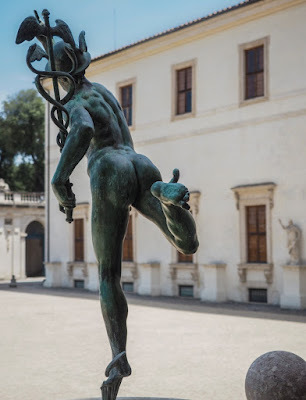 So the Villa Medici has an infrastructure in place that includes a number of guest rooms, and when these are not used by pensionnaires or other offical guests, they are open to the general public. What do you get one you manage to snag one of these rooms? Well as we said, it’s more of a B&B than a 5* experience, but never mind. If you’re the kind of person who writes snooty reviews on TripAdvisor about missing bathroom amenities and the absence of turn-down service at night, this place is not for you. So why stay here? 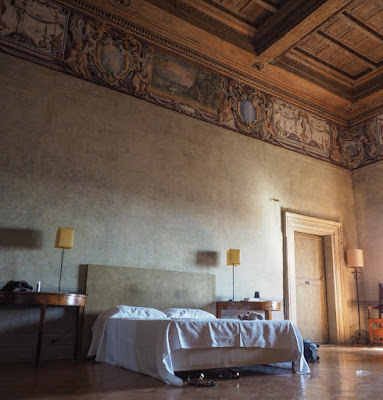 Because where else do you get to sleep in rooms decorated by 16th century Mannerist painter Jacopo Zucchi? 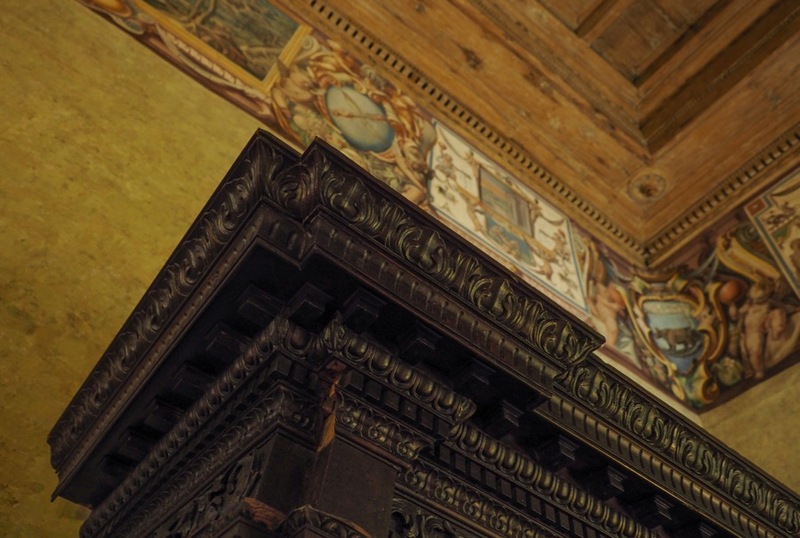 With coffered wooden ceilings high enough to accommodate a giraffe? With a view of all of Rome, and we do mean ALL of Rome, straight from your window? 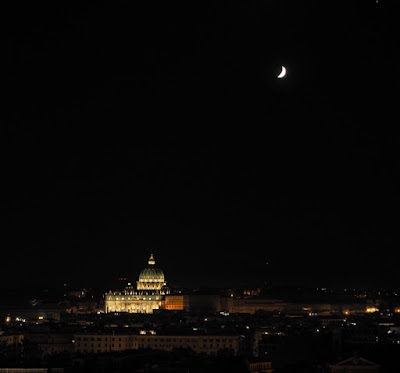 And exclusive access to one of Rome’s great Renaissance palaces, all through the night, walking distance from some of Rome’s biggest sights? Drag the image for a 360 degree view of the room. 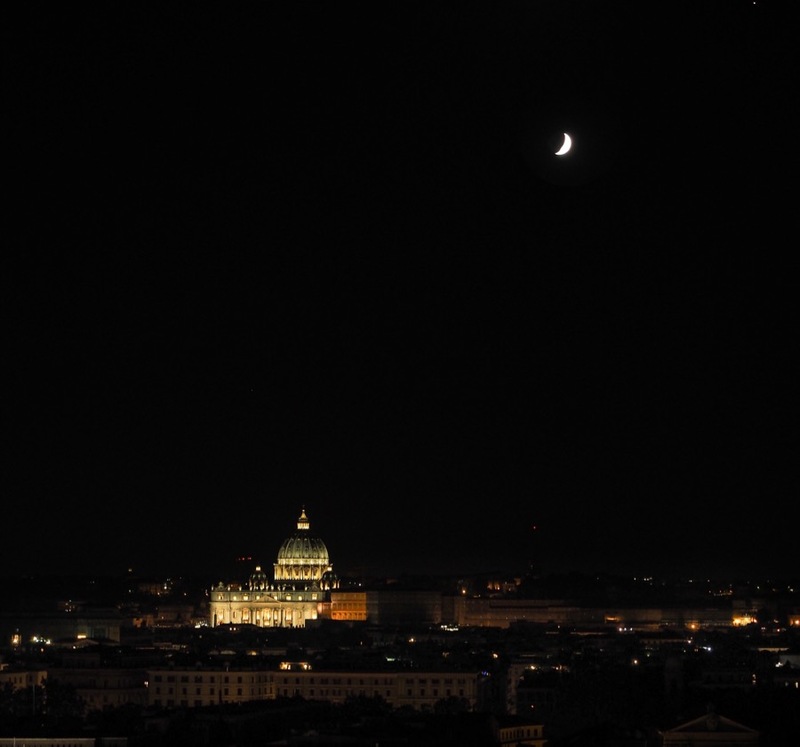 ...and of St Peter's by night. The Academy is kind enough to throw in breakfast as well (real butter-laden French croissants) in the charming high-ceilinged café, where you can admire the Villa’s garden and its stunning interior facade, decorated with high-quality antique loot, acquired by the Medicis in the 1600s. A tour of the garden is also included in your stay- sadly, you’re not allowed to roam the garden by yourself, but you can sort of understand they don't want to encourage picnics in this historical site. Ah, here’s the catch. You can’t book online. You can’t even book quickly. To stay here, you need something most tourists today, used to instant gratification, don’t have: patience. And perseverance. Remember: this is a French academy. In Italy. Combining the best of both countries’ bureaucratic traditions, reservations start with an email, which, after some time, may trigger a response. Calling won’t help. There are some forms to be filled out. There is a bank transfer to be made. We don’t even know if they speak English- all our correspondence was in French. 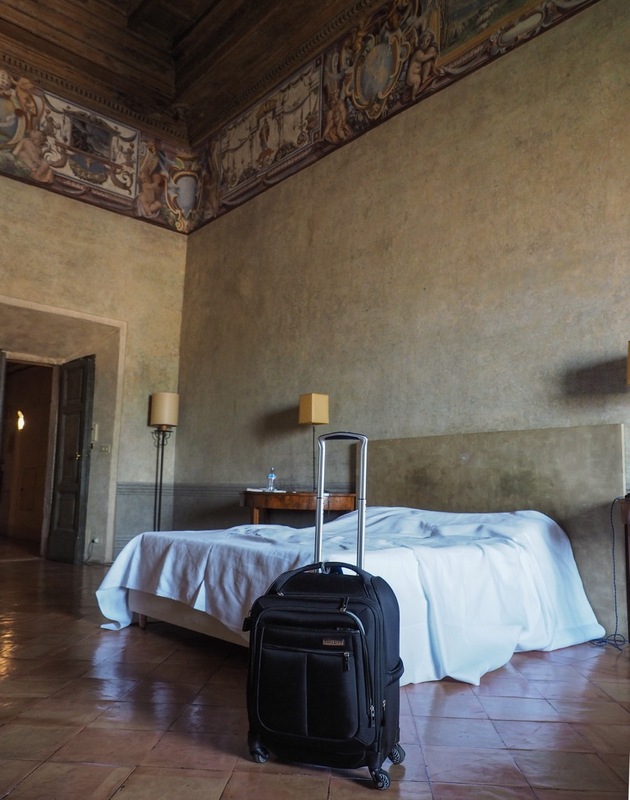 For Minor Sights, the complexity of booking a room is part of the attraction: it’s an extra hurdle that certainly keeps out the riffraff, used as they are to booking.com and free cancellations. But if you do manage to score a room, congratulate yourself (in French, if you can) because you’ll be in for a unique experience. Please note: all the pictures here are of the Historical Rooms. Did we mention costs? It’s expensive. Still, it’s a lot cheaper than buying your own Renaissance palazzo. So if you can afford the splurge, go for it. The Academy’s official website has the contact details and room descriptions. Wonderful photos! I would be interested to know how 'expensive' is expensive? Because the Villa's website does not mention a price range. Thanks! Hello Anon! When we stayed there in the summer of 2016 the historical rooms were EUR 350.... there are cheaper rooms too but they don't have the historical decor. 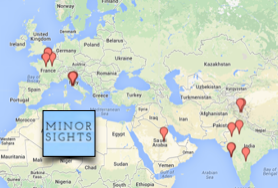 When will you be in Rome?